Thanks to the encouragement of my cousins who live in Roanoke, I applied and was accepted this past May to participate in the Taubman Museum of Art Spring Art Festival. 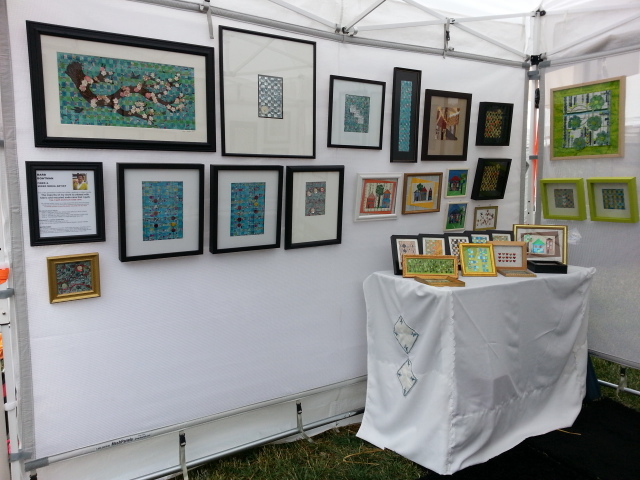 It was a big step up for me in the world of exhibiting and selling and only my second venture outside NOVA. All in all it was a very good weekend! I created just for Roanoke. I changed the booth and added a table to accommodate the "smalls"
Hey, these are just beautiful creations! I love all this art. Thanks for sharing the photographs. You know dear I will also be attending such a creative art event at one of the outdoor event venues in Seattle. I am really very excited! 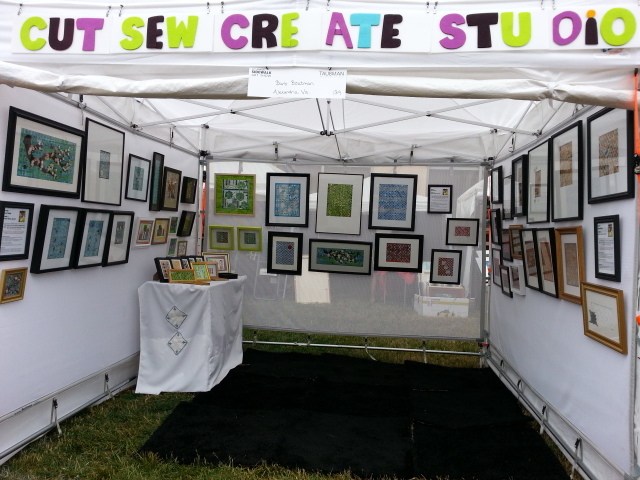 Welcome, I'm a FIBER ARTIST with a personal goal to inspire others to become environmental activists. 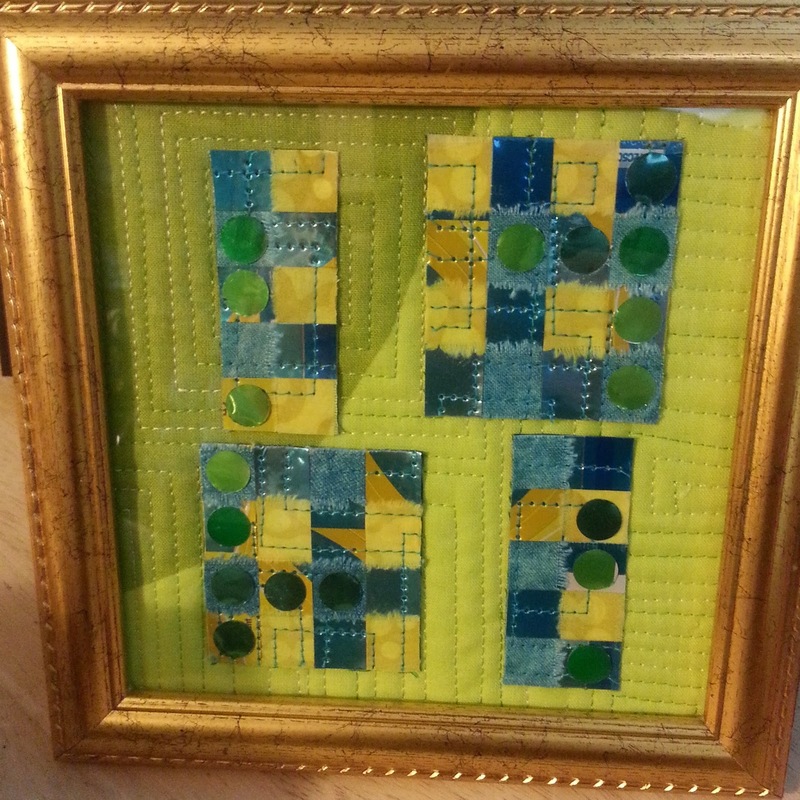 I do this by creating art from RECYCLED SODA CANS which I hand weave with fabric or paper before I quilt it on my home sewing machine. 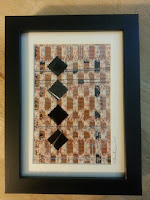 I started my artful path as a traditional quilt maker. 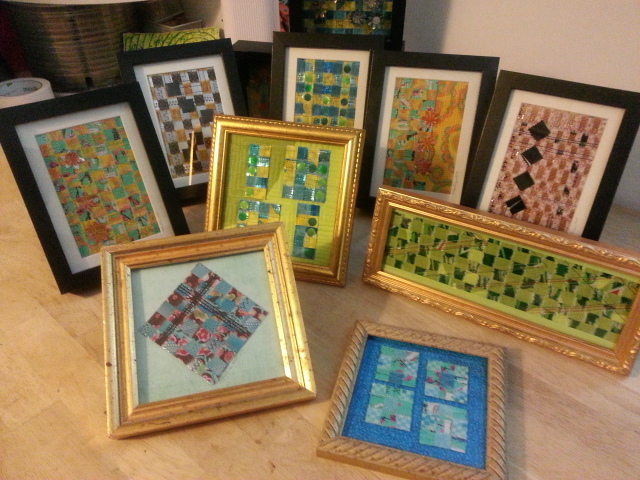 Later I moved on to art quilts and now framed art. 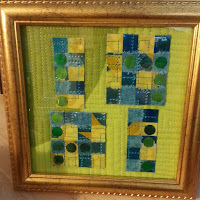 I also make 3D Mixed Media pieces from found vintage pieces and I enjoy thread painting some of my woven pieces. On a personal note, I'm originally from West Va where I attended Marshall and later I graduated from University of Tenn Chattanooga. And for a while I rode a Harley Dyna, which I traded in for a much larger Bernina sewing machine that's a lot safer.